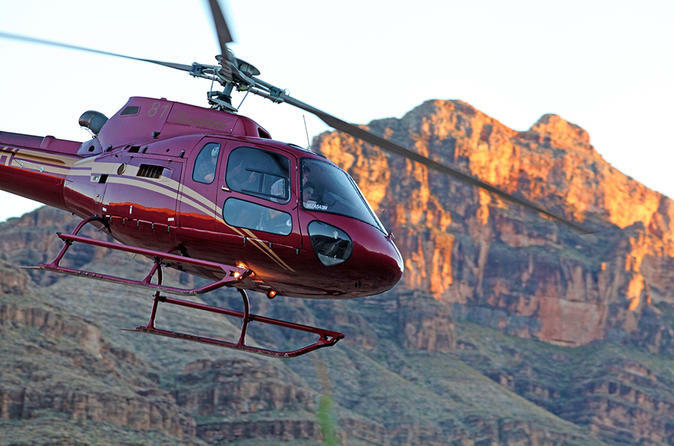 Take off from McCarran Airport on an exhilarating helicopter flight to the Grand Canyon. 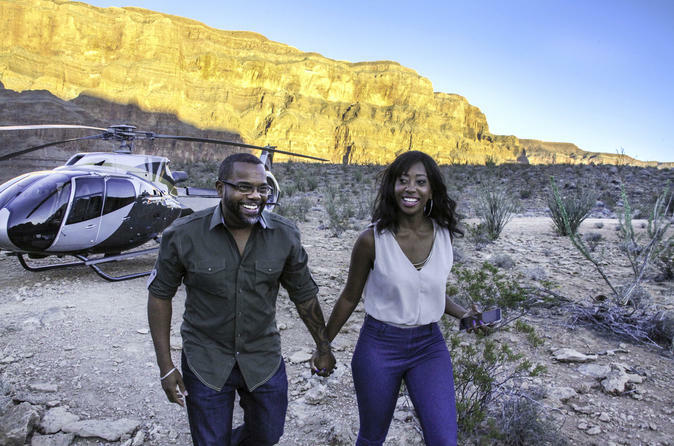 You'll enjoy a 45-minute helicopter flight each way, land deep in the canyon for a champagne picnic and fly low over the famous Las Vegas Strip on your return. 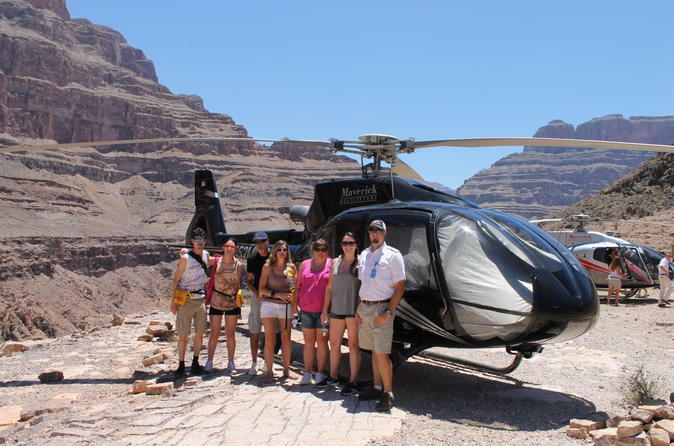 The Grand Canyon All American Helicopter Tour is a half-day tour, leaving you with time in the day free to explore Las Vegas and Nevada at your leisure. 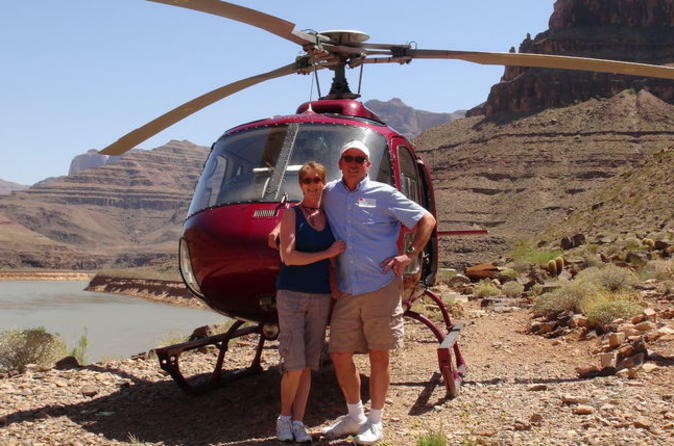 Take off from Las Vegas Airport on an exhilarating helicopter flight to the Grand Canyon. 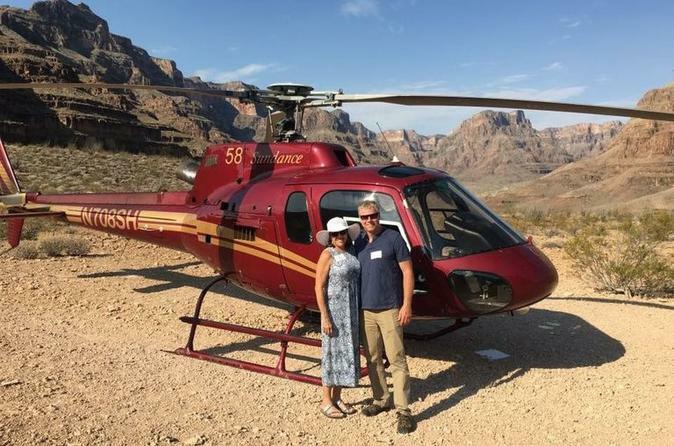 You'll enjoy a 45-minute helicopter flight each way, land deep in the canyon for a champagne picnic, and fly low over the famous Las Vegas neon Strip on your return. 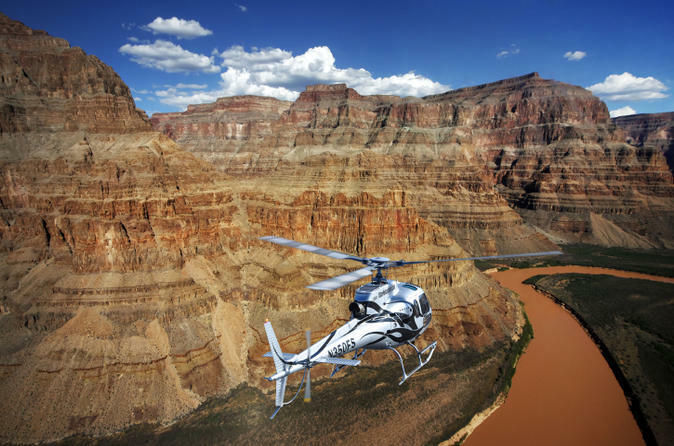 The Grand Canyon All American Helicopter Tour is a half-day tour, leaving you with time in the day free to explore Las Vegas and Nevada at your leisure. 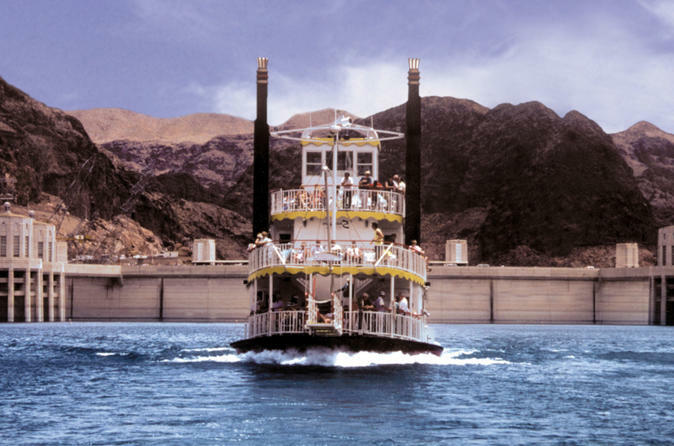 Let professional local guides take you on an all-inclusive tour of Hoover Dam, educating you on all aspects of Hoover Dam in an informative and entertaining way. Join the Powerplant tour and peruse the Visitor Center, allowing you to learn from every moment of your visit. 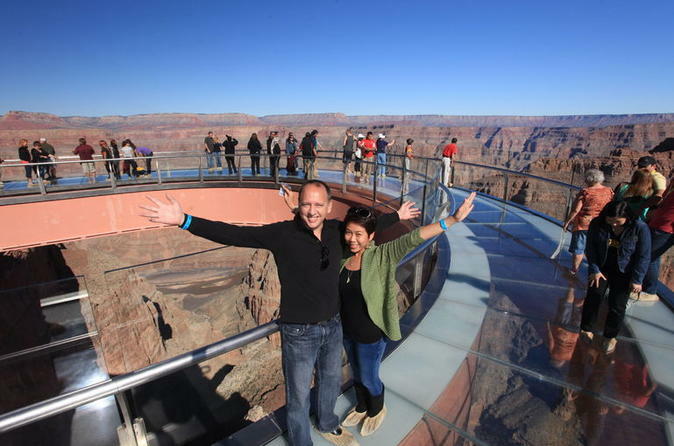 In addition, this ultimate Hoover Dam tour is one of the only excursions from Las Vegas to offer an exclusive 45-minute Walk on the Top tour. A restaurant lunch and transportation from select Las Vegas hotels are included. Get your ticket to ride the High Roller, the world’s largest observation wheel, in Sin City. At 550 feet tall (168m), Las Vegas' newest attraction lives up to its name, offering unparalleled views of the downtown area, day and night. Ensconce yourself in one of the 28 air-conditioned pods for a half hour you won’t soon forget. 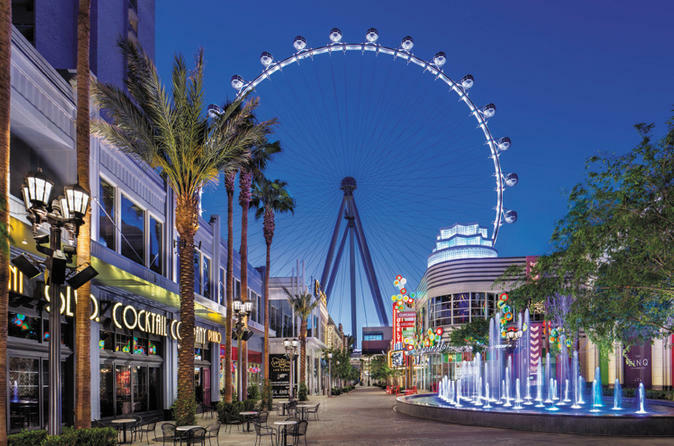 Afterwards, check out the city’s newest entertainment quarter, The LINQ, where a dynamic array of shops, restaurants, and bars await. 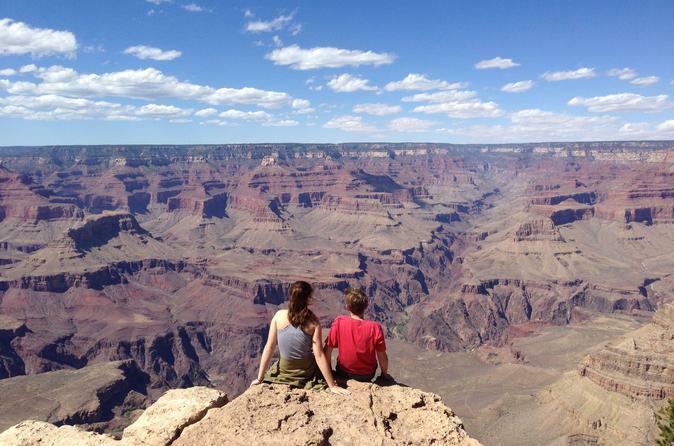 Travel by coach, helicopter and boat on an action-packed day trip to the Grand Canyon West Rim. 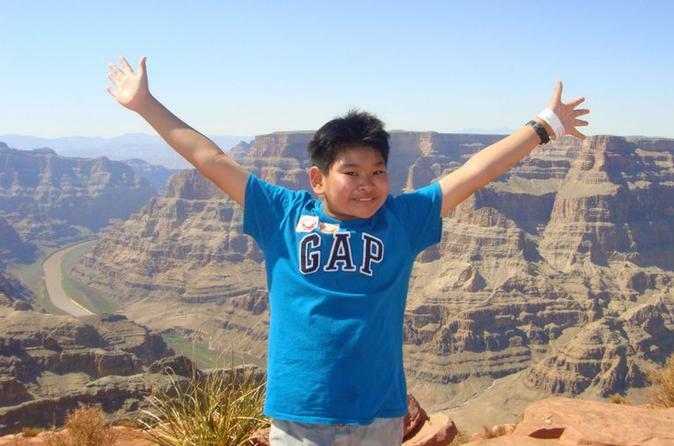 It’s one of the Las Vegas tours you can’t miss! 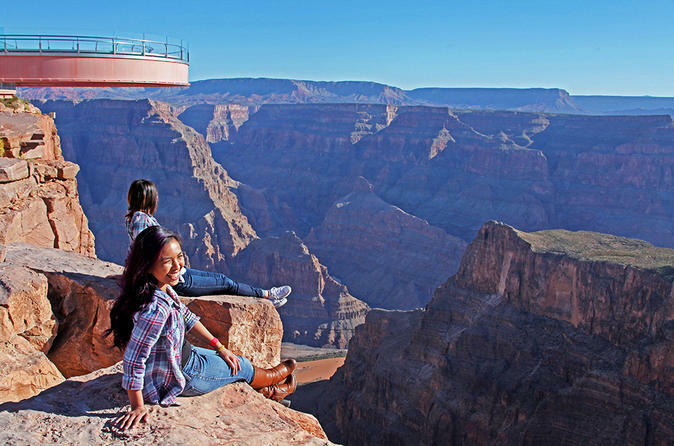 You'll ride a helicopter beneath the rim, cruise down the Colorado River, stop at the Hualapai Ranch for a cowboy cookout, and take a scenic drive along the Grand Canyon West Rim after lunch. 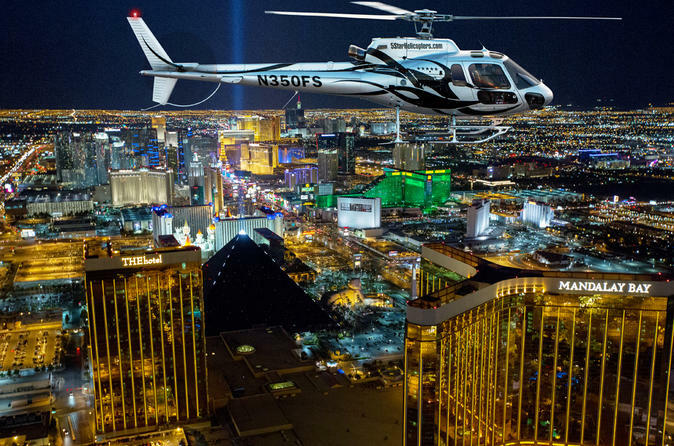 See the bright lights of the Las Vegas Strip on an 8- to 12-minute sightseeing helicopter flight, and kick off the night in Sin City style with a Champagne toast before lift-off. Choose from multiple departure times to fit your schedule, then fly by glittering casinos, towering hotels, and landmarks. For your convenience, this tour includes door-to-door transport from select Las Vegas hotels. 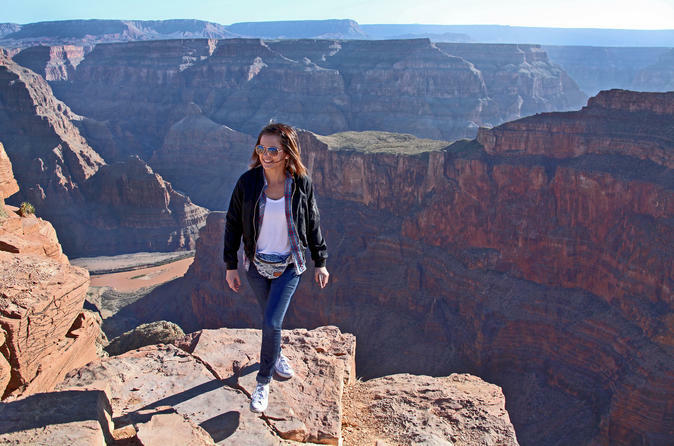 Take a helicopter flight into the depths of the Grand Canyon for a champagne picnic 3,200 feet (960 meters) below the canyon rim. Enjoy a low-level flight over Lake Mead, Hoover Dam and extinct volcanoes, and conclude your adventure with an exciting pass over the Las Vegas Strip. 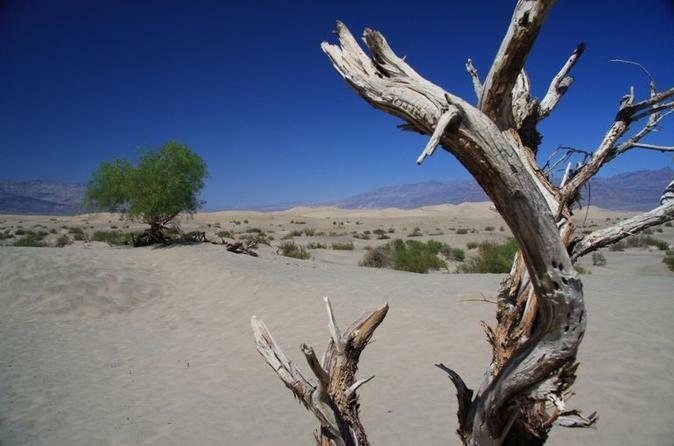 This is a half-day tour, leaving you with time in the day free to explore Las Vegas and Nevada at your leisure. 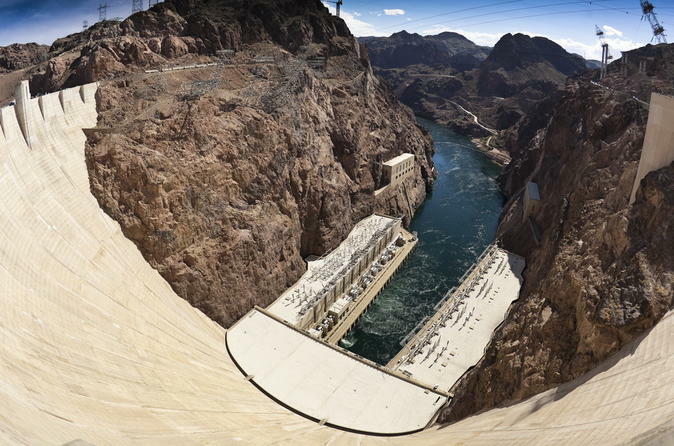 Take a tour of the mighty Hoover Dam, where you'll explore the inside of the dam, walk through a 250-foot-long tunnel and view the 650-foot-long Nevada wing of the power plant. 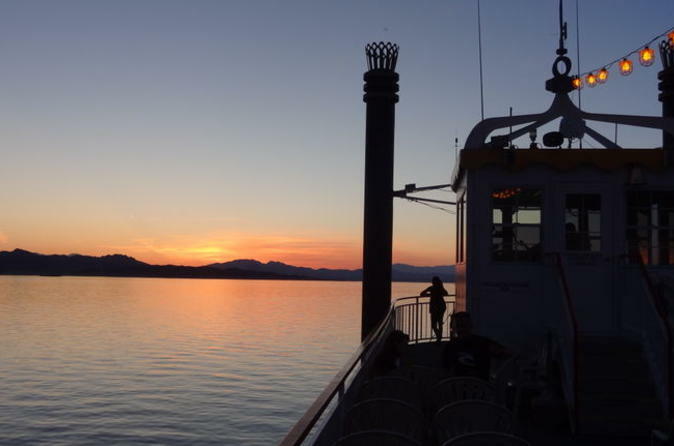 You’ll also enjoy a 90-minute cruise, including lunch, aboard a paddle wheeler on Lake Mead and a stop at the Ethel M Chocolate Factory. 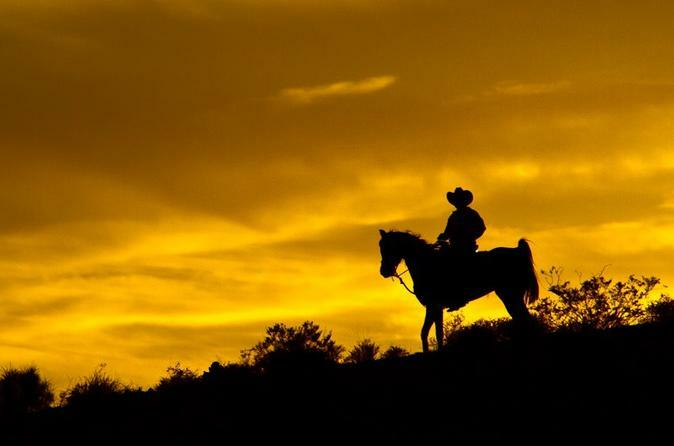 Wake up bright and early for a horseback ride through the Wild West! Leave the Las Vegas Strip behind for a day on a working ranch - where you will dine on a hearty cowboy breakfast before saddling up for scenic and leisurely horseback ride. 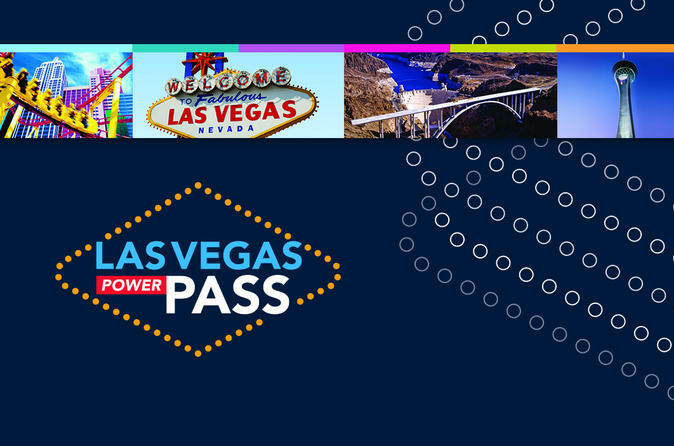 For as low as $39 a day, see more and save with the Las Vegas Power Pass! For one low price, receive entry to the most exciting Las Vegas tours and attractions (a combined value of almost $500 USD). Your Las Vegas Power Pass includes "Fast Tracking", allowing you to skip the line at many attractions. Every Power Pass provides additional discounts and special offers for fine retail shops, restaurants and other activities. A colorful guide with maps, travel instructions, attraction descriptions and operating hours is also included. Las Vegas comes alive at night, when the lights of the casinos dazzle the dark sky. There’s no better time to explore the Strip than after the sun has gone down, and the Las Vegas Lights Night Tour will take you to the best spots. 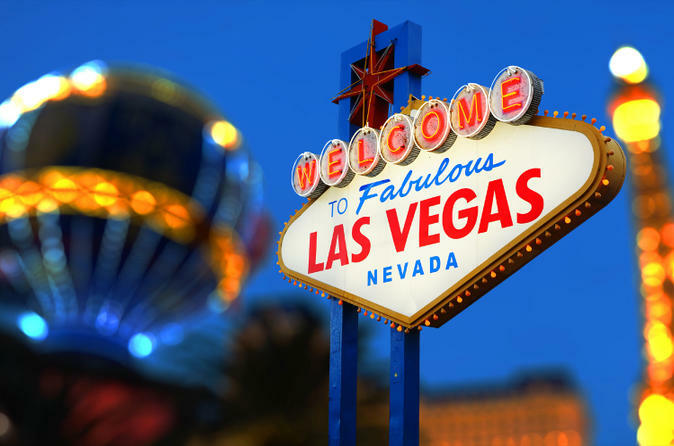 The approximately 3.5-hour tour includes stops at the erupting volcano at The Mirage, the famous dancing fountains at Bellagio, the iconic neon “Welcome to Las Vegas” sign and the incredible Fremont Street Experience light show. You will also see City Center, the Manhattan skyline at New York-New York and the Eiffel Tower at Paris Las Vegas. 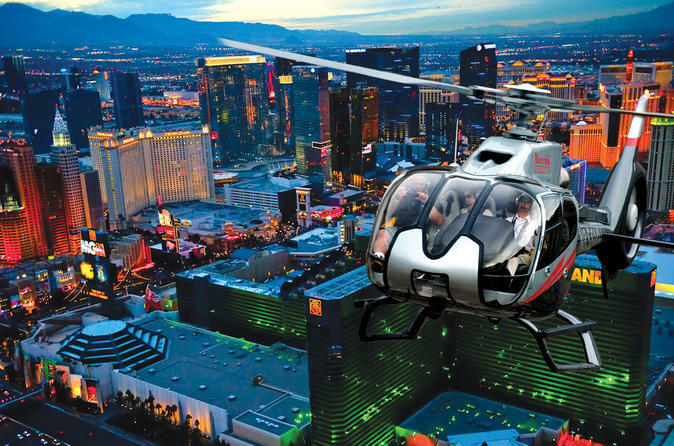 Celebrate your visit to Las Vegas with an amazing 15-minute helicopter flight over the dazzling neon lights of the famous Las Vegas Strip. Enjoy complimentary hotel pickup and drop-off and relax with a glass of sparkling wine before boarding your luxurious A-Star helicopter. These one-of-a-kind views of fabulous Las Vegas will be a highlight of your trip to Sin City! 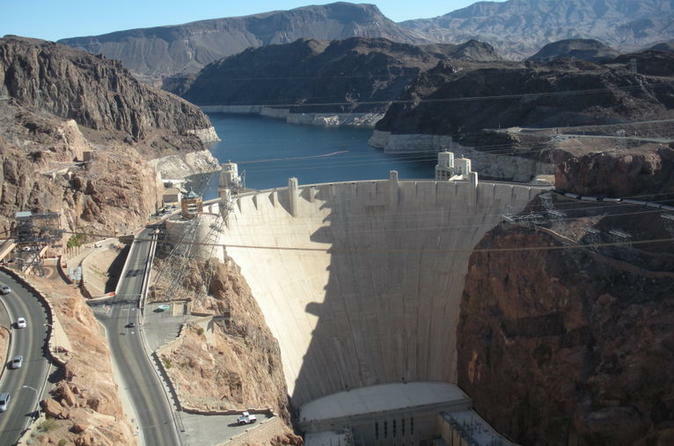 Your trip to Las Vegas won't be complete without a tour of the mighty Hoover Dam! Built during the Depression, thousands of men came to Black Canyon to tame the Colorado River, and it took them less than 5 years to build the largest dam of its time. Add some romance to your Las Vegas vacation. 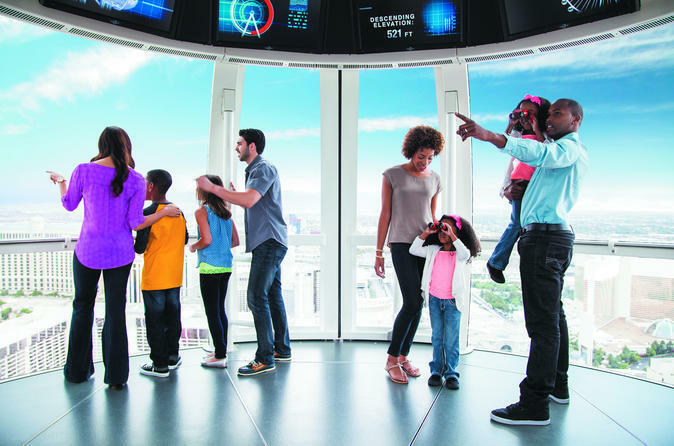 Enjoy Madame Tussauds Wax Museum, an ride on The High Roller and your choice of either lunch or dinner at Off the Strip on The Linq Promenade. Do it all in a day or spread out over the duration of your trip, the choice is yours! 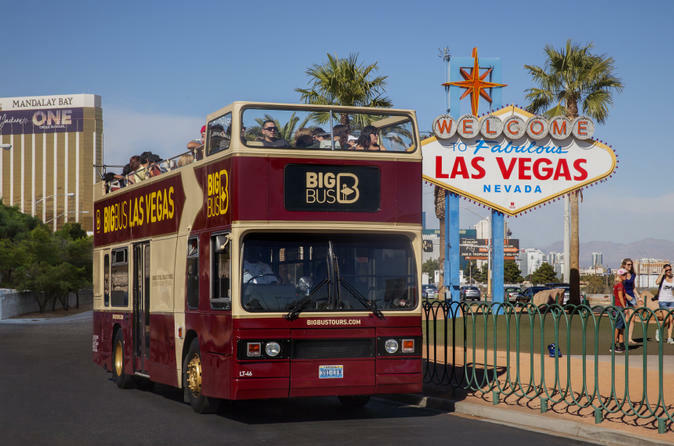 Hop on the double-decker bus and cruise the Las Vegas Strip and Downtown Las Vegas all day long! The open-top buses allows you to enjoy a 360-degree panoramic view as you travel along your route. 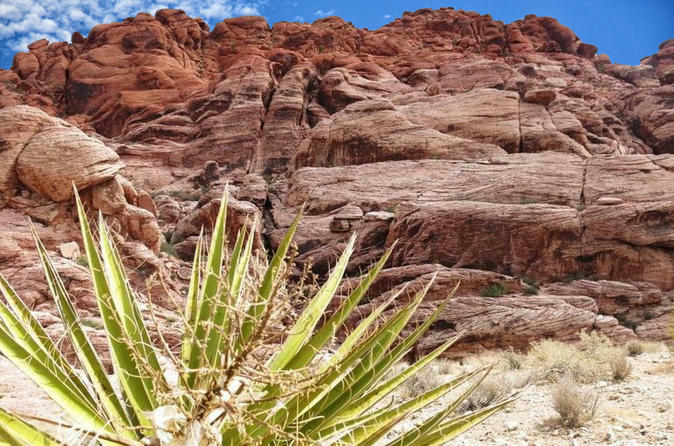 This tour is a great way to enjoy Las Vegas at your own pace and explore your areas of interest. Choose the day and night combo to see the Strip lit up at night! Get the lowdown on the glamor, glitter and gossip that makes Las Vegas the world's most exciting city, with tickets to Vegas! The Show. 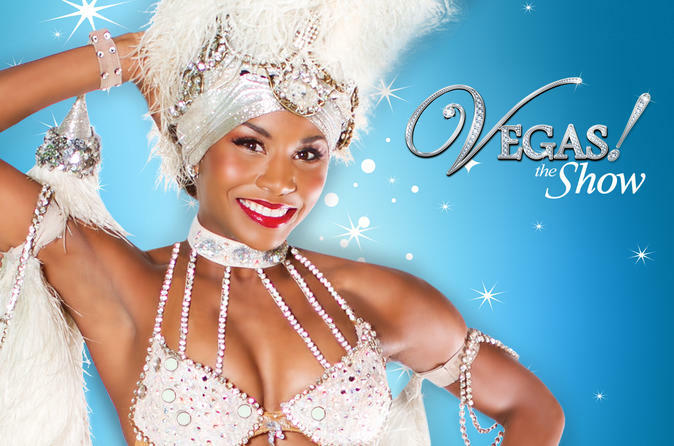 The biggest stage production on the Strip in almost 20 years, this is one Vegas show you will not want to miss! Leaving your morning free to explore Las Vegas, ride into the sunset on an afternoon horseback riding adventure. Discover lands once used by Indians and legendary cowboys as you spot big horn sheep, jack rabbits and road runners. 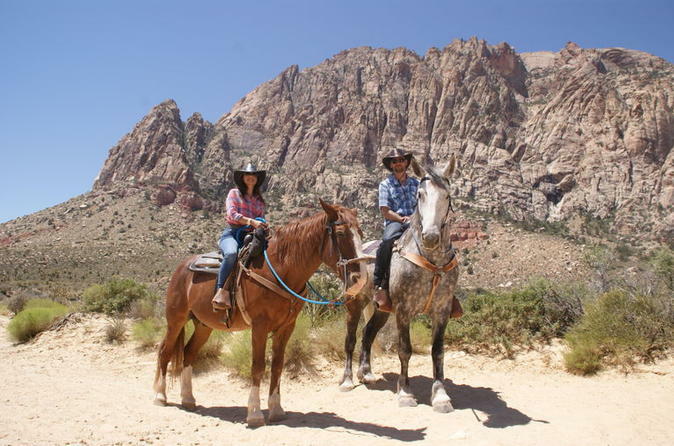 Your all inclusive horseback adventure includes a cowboy BBQ dinner and roundtrip transportation from Las Vegas. Closing on September 18, 2016, don't miss your change to see the award-winning musical JERSEY BOYS perform at Paris Las Vegas Hotel & Casino. 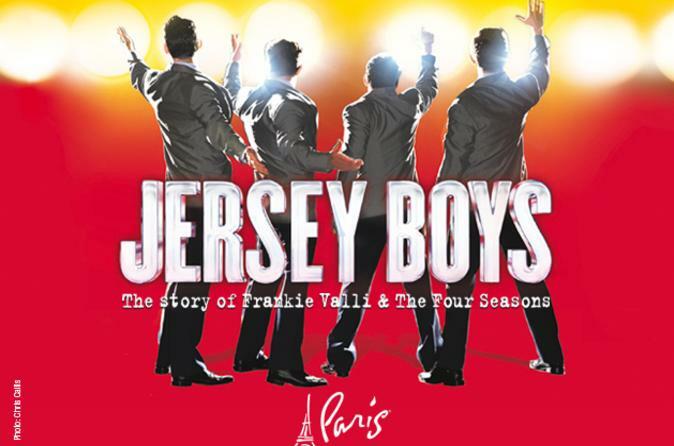 JERSEY BOYS takes you up the charts, across the country and behind the music of Frankie Valli and The Four Seasons -- four blue-collar kids who work their way up from the streets of Newark to the heights of stardom to become one of the most successful music groups of all time. 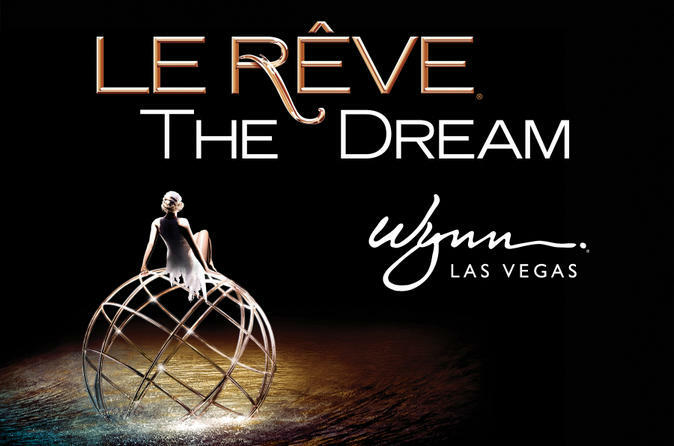 See one of the most spectacular shows on the Strip: the aquatic dream world of Le Rêve - The Dream at Wynn Las Vegas. Every seat is the best seat in the house in this aqua theater-in-the-round, ensuring you won't miss a single amazing feat! 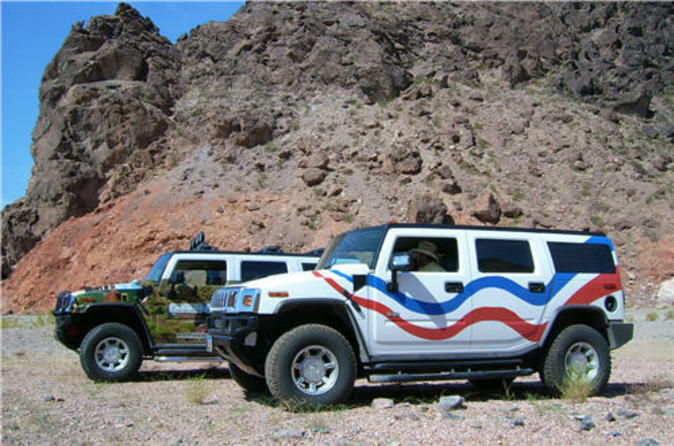 See the Hoover Dam in style aboard a Hummer H2. On your way to the dam, watch a DVD in the Hummer that will prepare you for your tour. At Hoover Dam, you’ll get the full experience on the Discovery Tour that includes taking an elevator 500 feet (152.4 m) down into the walls of the Black Canyon to see the power plant generators. 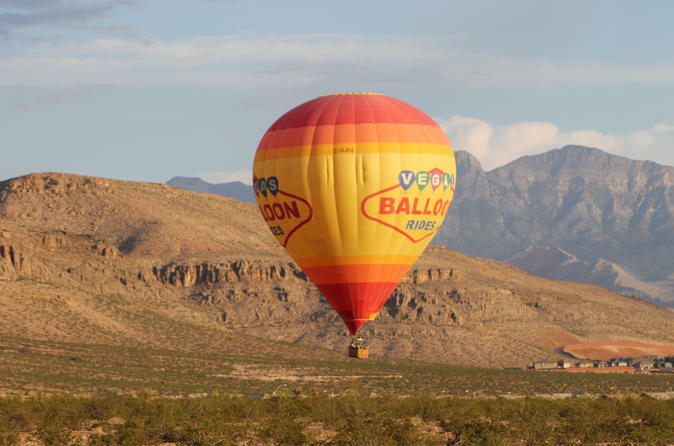 This scenic hot air balloon ride is a romantic way to fly over Las Vegas. 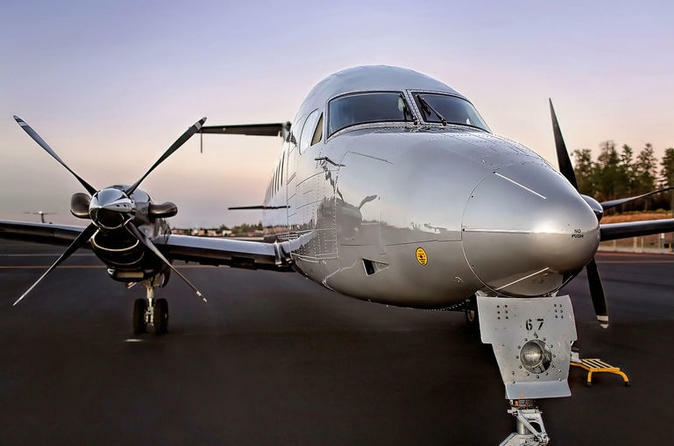 Soar over Las Vegas neighborhoods, see gorgeous views of Red Rock Canyon and travel wherever the wind takes you for approximately 1-hour before landing to enjoy a Champagne toast and light hors d'oeuvres. 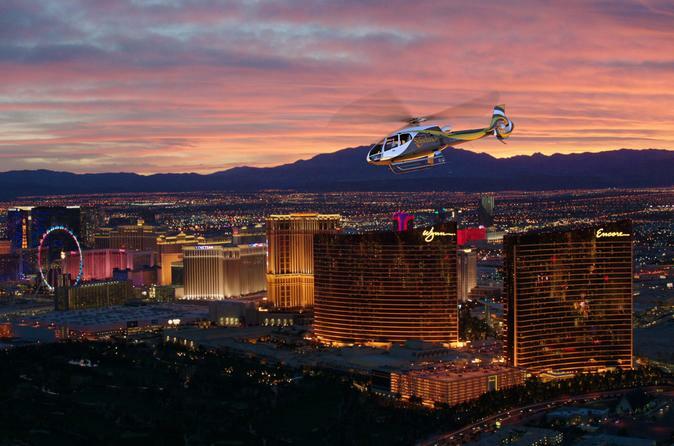 From December to February, see Las Vegas' skies change color with a sunset departure where you'll also catch views of the famous Las Vegas Strip being lit up! Step into the world of ‘Pawn Stars,’ the History Channel's much-loved reality TV series, set in Las Vegas! 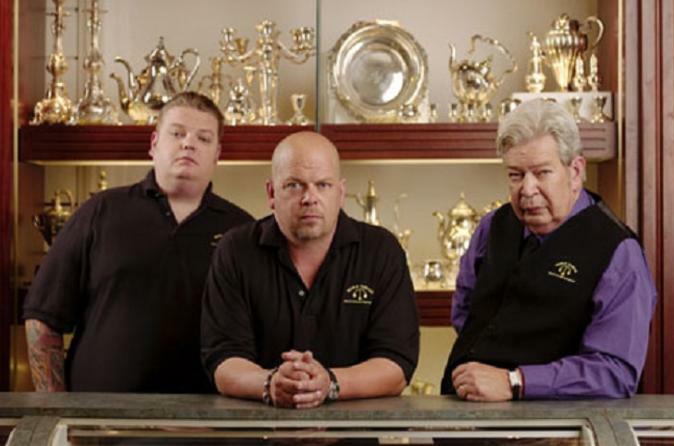 See the Gold & Silver Pawn Shop, where your favorite cast members – Rick, The Old Man, Big Hoss and Chumlee – work every day to buy, sell and appraise goods brought in by their customers. In addition to the store, you will also visit Welder Up, where rat rods are being restored and the Toy Shack, Las Vegas' ultimate vintage toy appraiser.